After posting a recipe for baked churros with chocolate sauce a few weeks back, today I’ve decided to ditch my oven and jump on the full-fat band wagon with strawberry jam-filled deep-fried doughnuts. That’s not to say I didn’t try to make these a little healthier for you. In fact much of my Saturday was spent experimenting with doughnut dough: different flours and sweeteners, proving times and shaping techniques, time and temperature of cooking. Bake these beauties in the oven and what you get is something soft, sweet and akin to a bun. Brush your bun with melted butter, roll it in sugar and apart from its slightly pallid colour, it starts to look a lot like a doughnut. But that texture contrast of golden crust and slight greasy sweetness is somehow lost along the way. Sometimes a girl needs a little greasy goodness in her life. Deep-fried doughnuts are another story. They kick Krispy Kreme-style glazed ring doughnuts to the kerb in terms of sheer indulgence, freshly coated in sugar and oozing warm strawberry jam all over your fingers and chin. Other good things to put in doughnuts include Nutella (I’ve already promised a batch of these to two friends), dulce de leche, homemade custard (combined with jam or on its own), pastry cream or cream i.e. anything with plenty of flavour and ooze. These doughnuts are all about the ooze. Deep frying can be a little scary because we – hopefully – don’t do it every day. But after a lot of experimentation I can promise that, in this instance, it’s worth it. Drink a green juice and do some yoga tomorrow: today it’s all about the doughnuts. Ps I intended to make my doughnuts heart-shaped for a certain celebration that’s coming up on Friday but got overexcited experimenting in the kitchen and didn’t get round to buying the all-important cutter. I think hearts would be amazing (I imagine they’d have ever-so-slightly more crispy corners? ), or you can also deep-fry smaller balls of dough and use the jam/Nutella for dipping rather than stuffing it inside. If you end up making those, I’d love to see a pic. Pps if you make the Nutella-filled version, you can add to the all round nutty deliciousness by replacing the normal butter with brown butter. It’s all kinds of irresistible. 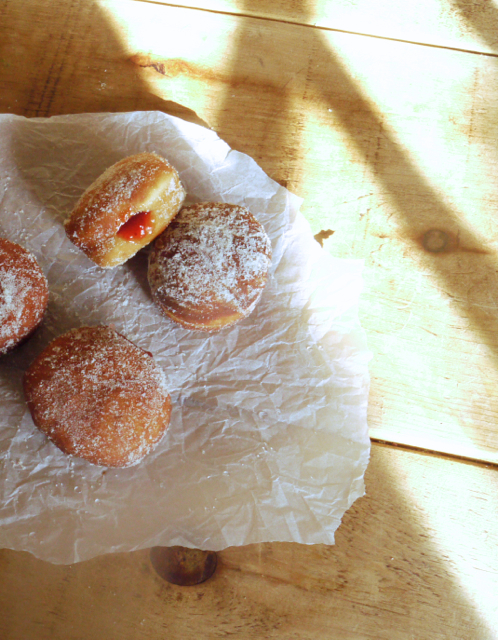 Deep fried, jam-filled, sugar-crusted treats, these are the doughnuts of my childhood and the ultimate grown up indulgence. In a small glass, combine the yeast with 50ml warm water. In a large bowl, combine the flours and salt. In a medium saucepan, combine the milk, butter and honey. Heat gently until the butter just begins to melt, then remove from the heat and allow to melt completely. The mixture should feel warm if you insert a finger, but not hot. Stir in the beaten eggs and vanilla, orange zest or cinnamon, if using. Stir in the yeasty water. Pour this mixture into the flour and bring together to form a sticky dough. Tip onto a lightly floured work surface and knead for 10 minutes until soft and smooth. Place the dough in a lightly oiled bowl, cover with a tea towel and leave in a warm, draft-free spot for one hour or so until doubled in size. When the dough has risen, scrape it out of the bowl onto a lightly floured work surface. Gently roll out to about 2cm thick and cut out discs of dough about 8cm in diameter. Re-roll and repeat with any scraps to use up all the dough then place the discs on a lightly oiled tray and leave to rise for a further hour. When ready to cook the doughnuts, pour the caster sugar into a large shallow dish. Heat 1.5 litres of sunflower oil in a large, deep-sided pan. The oil should read 175 degrees C on a thermometer - if you don't have one you can check if its ready by dropping in a small scrap of dough. It should crisp up and fry in about 30 seconds. Gently drop the discs of dough away from you into the oil and fry for 1 - 2 minutes on one side, or until golden, before flipping and frying for a further 2 minutes. Don't try to cook more than three at once or the oil will lose its heat. Remove the cooked doughnuts from the pan using a slotted spoon. Drain on kitchen paper then roll in the sugar while still hot. 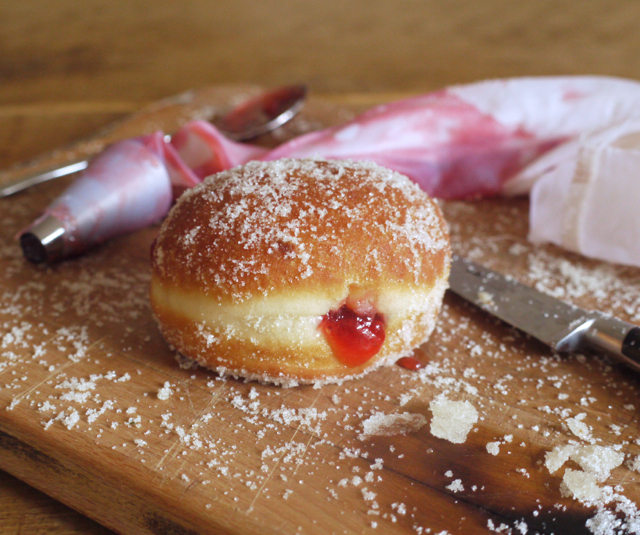 Allow the doughnuts to cool slightly, then cut a slit in the side with a sharp knife and pipe a splodge of strawberry jam into the centre, exerting pressure on the piping bag until the doughnut feels fat and full. 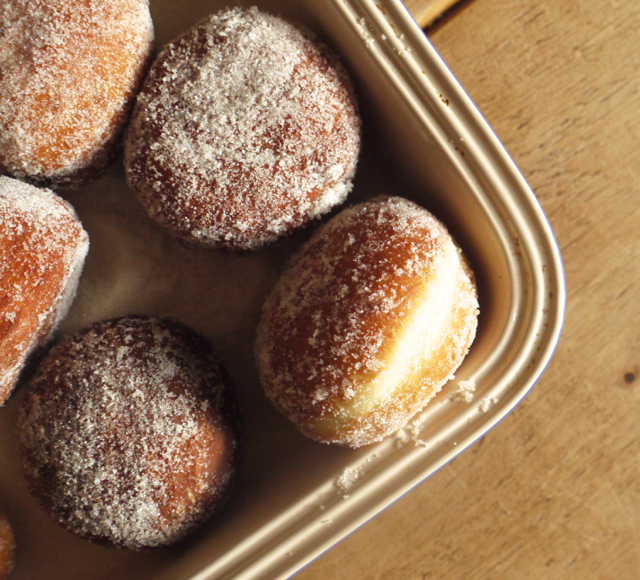 Best eaten warm, these doughnuts will keep in an airtight container for a couple of days. Because I know some people will ask, it is possible to bake these doughnuts. Place the discs of dough on a baking sheet lined with parchment paper and bake for 10 - 12 minutes at 190 degrees C before brushing with melted butter and rolling in sugar. The result is slightly heavier and a lot less golden - more of a soft, sweet bun than a doughnut. An option if you're on a diet, perhaps, but one which pales in comparison to the real deal. Your doughnuts look insanely good! I especially love the money shot of the jam oozing out! Gorgeous. Thanks Jennifer. They’re so tasty and actually pretty simple to make too. Did you ever play the game where you had to eat one without licking your lips? So hard! You had me at jam donuts 🙂 I haven’t made donuts since I was at pastry school, I remember they were one of the most popular items to make and they were getting eaten as soon as the jam was piped….yum. I am really going to have to invest in a deep fryer so I can jump on the full fat bandwagon too! Deep fried cannot be beat. These look amaZING! Doughnuts are my most favouritest of favourites. That Oscar Wilde quote is one of my favourite quotes of all time and these doughnuts look like perfection. Back home these are called Berliner Ballen or just Berliner (the reason why JFK’s statement “Ich bin ein Berliner” is so funny to the German speakers of this world) and are super common right about now. I am not sure why, but starting from 1 January right through to carnival you can get Berliner at every bakery, typically filled with jam but often with nutella too. Personally my favourite filling is custard, especially the St John’s type of custard, thick and insanely rich! I have never made this type of doughnut before, only traditional Greek doughnuts, and I can’t wait to try them. They look fantastic! These look amazing Kate! Completely agree with you that if you’re going to have a doughnut, you might as well have the real thing – who eats doughnuts when they’re on a diet anyway! Love it! So simple, so good, one of my absolute favorites. I’m gonna try this soon! I spotted these on Instagram and HAD to get the recipe. They literally look like a deep fried piece of heaven. These look amazing! Want the jam dripping down my chin and the sugar to cover my lips. Okay, thank you for the reply and the help 🙂 I’ll keep experimenting (baking and photos-wise!) and drawing inspiration from other food blogs in that case. Looking forward to your next post! Well, I’m thoroughly impressed – those look absolutely perfect. I’ve been making a lot of baked doughnuts recently since I got Ashley from Edible Perspective’s gluten free doughnut cookbook but I think I might be ready to move on to experiments with frying them now…it’s certainly been far, far too long since I had a proper doughnut. 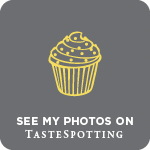 Love the pics in this post too, with all that lovely jam oozing out. Perfect! I think a baked ring doughnut is a slightly different proposition because you have all that lovely icing or glaze on top. I do like the sound of Ashley’s book. 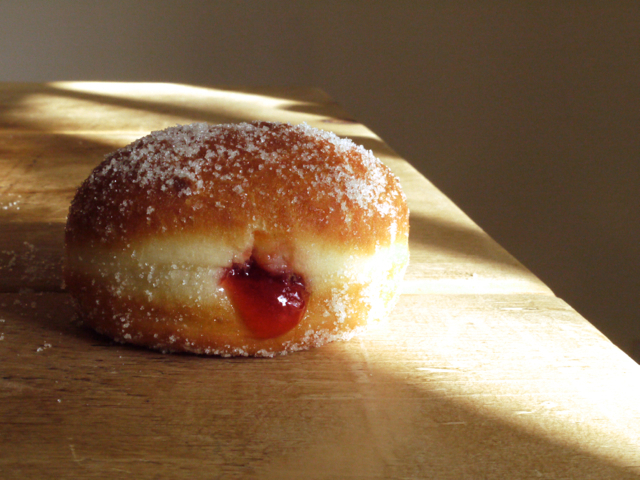 When it comes to jam filled doughnuts though, I think it has to be the fryer! ps the oozy jam was messy, but so good. A thing of beauty! These remind me of the Krapfen (or Krafen as these are called in Italy) that I so loved growing up, filled with oozy pastry cream. Now that I have seen these I find the jam filling really appealing. As soon as I start eating sugar and carbs again, this is a must try! I remember eating a Nutella filled version of these during summer vacations at the beach, they were good but homemade is always better! This brings back so many memories. 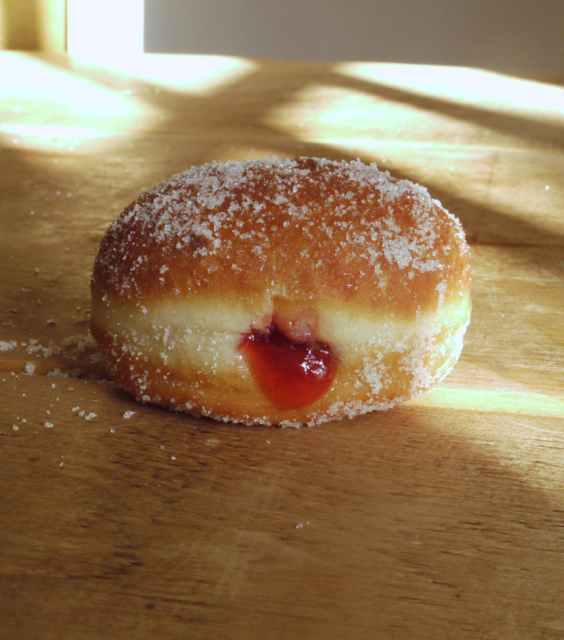 I haven’t had a jam-filled doughnut (a “jelly doughnut” as we call them over here whether they’re filled with jelly, jam, preserves, or curd) since I was a kid. When my mom would get us a mixed batch of donuts, I always got to eat the jam-filled ones because neither my mom nor my dad liked them. Well, they don’t know what they’re missing, and I want one of these right now! I usually avoid deep frying but those doughnuts do look amazing…. I’m really not into deep frying, but you’ve made these look so perfect I’m very nearly tempted. Yes, a thermometer is definitely a good investment, although you can make them without. You just need a very watchful eye! I have always wanted to try and make doughnuts at home! They are a bit intimidating, but your post make me really want to do it! Yum! Don’t be intimidated, they’re actually a lot easier than you might think! They look AMAZING. Re: deep-frying vs baking them . . . You only live once and sometimes a little indulgence is good for the soul 😉 Also, I have read numerous times that if you get the oil properly hot, the surface seals quickly and very little oil is actually absorbed. Whew!! Thanks for posting this!! It’s true, hot oil is what you want. More oil is absorbed through shallow frying! These look great–my favorite kind of donut is this, but filled with a chocolate cream. I wish I was more into deep frying because I think I would love to make these! I’m not ‘into deep frying’ in a major way either, but I promise, if you want a good doughnut, it’s worth it! Can I make the dough one day ahead? Made them..they are delicious..fluffy and not hollow…not too sweet either and I used Vanilla for additional flavoring instead of zest or cinnamon. Wow donuts, look great and delicious. Excellent recipes dear thank you very much. Batch 1 October 2014: Used a pan of hot oil so I couldn’t regulate the temp and they over-cooked. Batch 2 April 2015: Didn’t have the right sugar to roll them with so they weren’t coated properly. Batch 3 July 2015: Cooked and browned well and were beautifully coated. Best batch by far. But had to share with a large group of people. Thank you for the recipe But I’ve never come across a strong white flour can I just use 500g of plain white flour?